Deliver more valuable projects to your clients with tools that help you leverage your team’s collective knowledge base. BST10 Enterprise brings your entire organization together into one, integrated business management system, giving everyone access to the same up-to-date and actionable information. Now, you can facilitate seamless multi-lingual knowledge sharing and collaboration across projects, offices, and regions. 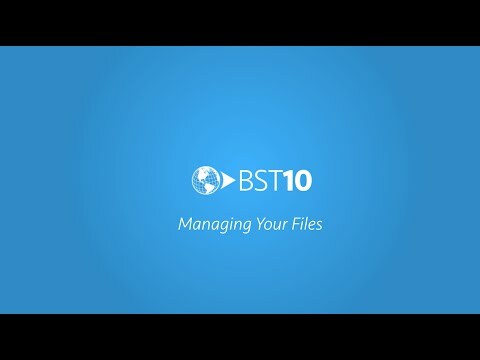 Manage any and all files in BST10 Enterprise. Our agile software solution allows you to add any type of file – from spreadsheets to images to text files – anywhere within the system, meaning team members will always have access to the supporting context they need to effectively complete a task and then pass it along to the next person for action. Break the language barrier that’s holding you back from seamless global resourcing and collaboration. Now, your international employees can expand beyond their geographic boundaries to work together on different regional projects in one, unified environment. 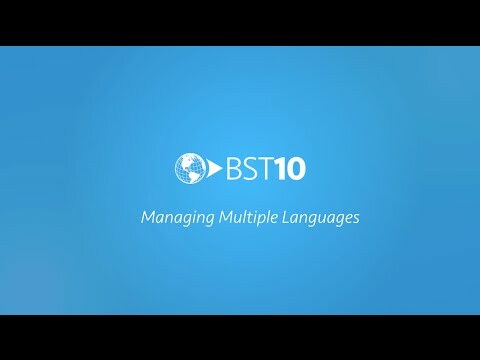 Whether your staff is in China, Brazil, or Sweden, BST10 Enterprise gives them access to the same, company-wide information, and displays it in their preferred language.